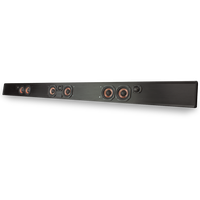 The TruAudio Custom Length Soundbar is an innovative solution adding high quality audio to your flat panel TV. 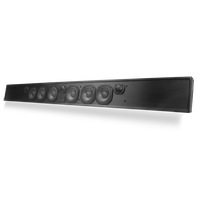 These customizable soundbars are cut to the TV’s exact width and will work with any flat panel TV or projection screen between 42” and 82” wide. They also have the thinnest profile among competitors and are available in two performance levels; carbon fiber or polypropylene drivers. 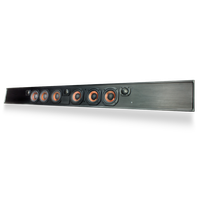 TruAudio’s patent pending front wire pass-through design allows dealers to install with ease and terminate wires from the front. 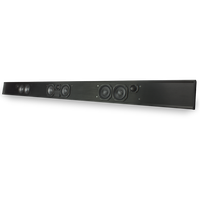 It is designed to match any home audio system, whether it is a center channel, stereo, or LCR configuration.